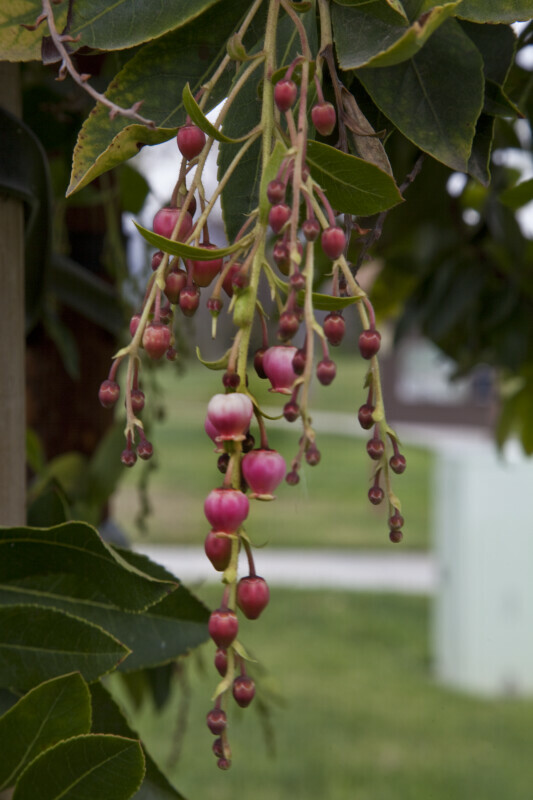 This photograph shows the hanging flowers and flower buds of a strawberry tree (Arbutus unedo). The photo was taken at Martha McLean – Anza Narrows Park. WARNING: You are about to download a 25.4 MB TIFF!